It looks as though the ongoing struggle of condo-hotels has struck gold—the gold and glitz of the Trump brand itself. The South Florida Sun-Sentinel reported this week that an investor in the Trump International Hotel & Tower in Fort Lauderdale, Fla., is trying to back out from his contract. A lawsuit filed there asks for a $146,000 deposit to be returned, alleging that the plaintiff was misled into signing a contract in 2005 for $730,000 on the basis that it would be a great investment. However, the claim is that the property was to open last year, while today the building's website shows an opening date in 2009. So now I’m wondering if my own immediate tendency to scoff at lawsuits may be silenced a bit by what could be a legitimate gripe. While I’m still fairly new to the world of hospitality (I’m officially closing my fourth week here at H&MM today), I do understand that the condo-hotel market has taken some hits recently. Lawsuits are mounting and the market has been left over-saturated by way too many properties. However, when reading back on what Hotel & Motel Management reported on the topic, I found the Trump brand is one that’s actually been touted for its success. In our July 21 issue, contributing editor Christine Blank referenced consultants’ views that the Trump projects have thrived despite the downturn because of a plan to not cater to individuals who want to rent their units, but rather to those who legitimately are looking for a space for personal use. It looks like the effort wasn’t entirely successful, though. Or maybe that just wasn’t the case at all. The suit in Florida now shows that at least one buyer was trying to make a buck off of the purchase. 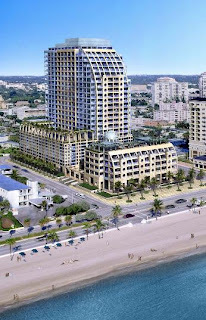 The plaintiff is arguing that it was stressed to him during the sale that the condo-hotel could bring potential returns on his investment, especially thanks to the Trump name, the Sun-Sentinel reported. However, while the condo was marketed as an investment, the claim is that it was never registered as a security. apparently this is happening with multiple of the Trump properties. It sounds like he has created it as a franchise, and the franchise owners are not upholding the good Donald's name.